CHIRALPAK® and CHIRALCEL® are well known as chiral chromatography columns. These products are trademarks of Daicel. Inside the chiral columns are chiral resolving agents Chiral Stationary Phases (CSPs). Daicel commenced the development of these products in the 1980s usingtheir expertise in cellulose chemistry. Daicel Chiral Stationary Phases are based upon chiral selectors produced by the derivatization of amylose or cellulose polymers. Daicel chiral columns offer excellent resolution of racemates, rapid and easy method development, plus durability and long service life. 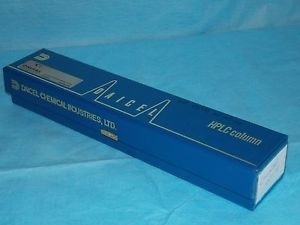 Daicel chiral columns are essential tools in the pharmaceutical industry. Recent product developments consist of immobilized CSP, CHIRALPAK® IA, IB, IC, ID, IE and IF. These allow use of a wider range of chromatographic solvents. A number of unique chiral columns have been developed by Daicel . They are into the following types: Immobilized types, Normal Phase, Reversed Phase, Crownpak etc. Excellent Resolution of Racemates: Daicel Chiral Columns represent the most effective means of analyzing chiral compounds and obtaining pure enantiomers, i.e to levels of 99+% enantiomeric excess. Fast, easy Method Development: Samples often require no prior derivatization and Daicel Chiral Columns can be used directly on Standard HPLC or Supercritical Fluid Chromatography instrumentation. 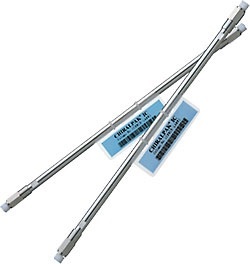 Columns are durable and long-lasting: Daicel Chiral Columns exhibit a dynamic loading capacity and have been in continual use by a large number of laboratories . Smooth transition from laboratory to development, pilot plant and production: Daicel Chiral Columns offer the ability to scale up in a linear fashion, minimizing changes in methodology and operating conditions.